Observing the working world, you will quickly find that there are those which seem to think that the responsibilities of his or her job are more of a suggestion than a requirement. Therefore, when these individuals actually perform the duties associated with the job to which he or she works, that person sees the professionalism as an achievement worthy of notice. As the onlooker, you see the individual and wonder why such attention is being given to a task which was part of the job description to begin with. You can see the problem which arises from the employee which thinks that the two are interchangeable, when writing a CV this separation may not have been addressed. It is paramount that you understand that responsibilities and achievements need to be addressed separately on your CV should you wish to present yourself to a potential employer as professional and worthy of being hired. 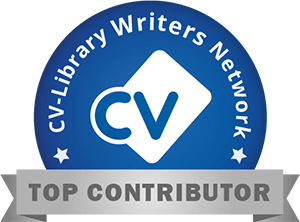 When constructing a CV, the responsibilities section is usually titled experience. On this section you list former employments and the responsibilities associated with each job. The responsibilities are noted so that the potential employer can see that you understand how to follow instructions in a career environment. It is important that you do not over embellish your responsibilities for any prior employment. This is especially true of applicants at a seasoned or executive level where the competition is harsher and the scrutiny applied to each applicant is performed with increased vigor. Responsibilities frame your skillsets. For example: If you have stated as one of your skillsets that you are a professional in transcription, you would want the potential employer to know that you worked for a law firm performing transcriptions as well as short hand for a duration of time. Notice that the skillset of transcription is address, but then a tangent is also added to bring more appeal to that skillset. It would not be appropriate to state a skill not applicable to the position for which you are applying. Potential employers want to see the specifics of the skills which you have presented. Where it is fine to present those skills, without specifics in which to show how those skills were applied, the claims are without merit and are generally discarded. Going beyond what is required is what constitutes an achievement. These are things which are worth noting. However, you need to ensure that your achievements are not just responsibilities. If the job expected you to perform at a certain level and you performed under par, achieving the level required may have been a personal achievement but not one to note on a CV. On the other hand, if the company required you to meet a certain level and you can prove that you far exceeded the expectations which were placed upon you, this would need to be noted. Those individuals which desire careers in the financial institutions or executive branches would do well to show how profitability and production expectations were exceeded with your management skills. Where achievements can focus on your skills, achievements can also focus on things which are not listed in that area. A potential employer would be greatly interested in knowing that you received perfect attendance awards for ten years at your former job. This type of achievement shows the employer that you are punctual, professional, and loyal. If there was a specific example of how you can show your leadership and professionalism this would be a great area in which to do so. Caution should be used in addressing your role in major corporate events. You should show how you played your part in the overall outcome, but never take full credit for the achievement. An employer wants to have a team player that takes charge, not someone that will try to do everything on his or her own all the time. Keeping responsibilities and achievements separated is needed in order to establish the responses desired from each section. When having an employer review the responsibilities, you want the employer to understand that you can perform the tasks of the position in which you are applying. Responsibilities are written to cater to the specific interests of the job opening. Achievements show how you can go beyond what is expected of you. This is critical when the unemployment rate is in the millions. Establishing yourself as extra ordinary will ensure that you are remembered. Writing a CV which is formatted in a professional manner can be a daunting task. From the correct formation to the correct content, you may feel overwhelmed. PurpleCV can help you in your CV needs. Offering several different levels of professional services dependent upon your current career needs, you can feel secure in knowing that your CV will be created to a standard that not only shouts professionalism but uniqueness as well. Highlighting your responsibilities and your achievements, PurpleCV will ensure that you stand a head higher than the competition. Check out our CV Writing Service page for more information or Contact Us today.